. 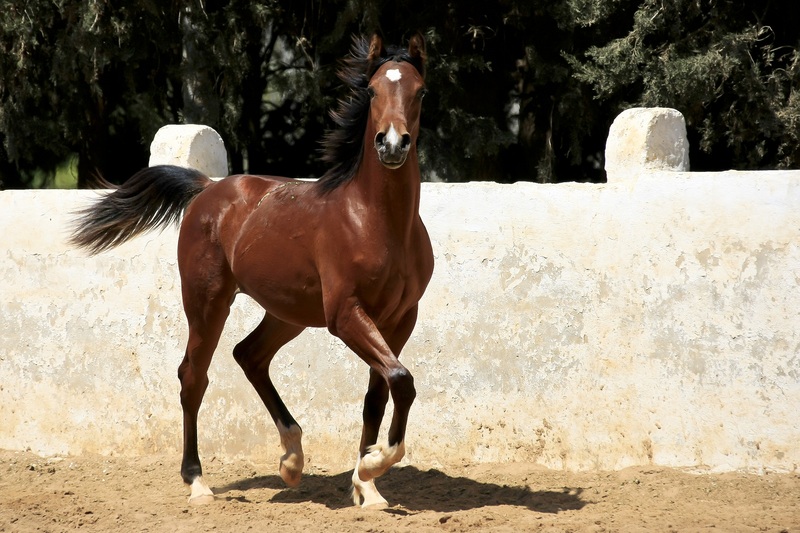 :: JORDAN: DISCOVERING THE MAGIC OF ARABIAN HORSES ::. Day 1: Flight to Amman in Jordan – 1 night in a 3* hotel. Flight to Amman (approx. 4h-4h30 from Europe). Pick-up at Queen Alia airport & transfer to your 3* hotel in Amman. Dinner & night at hotel. 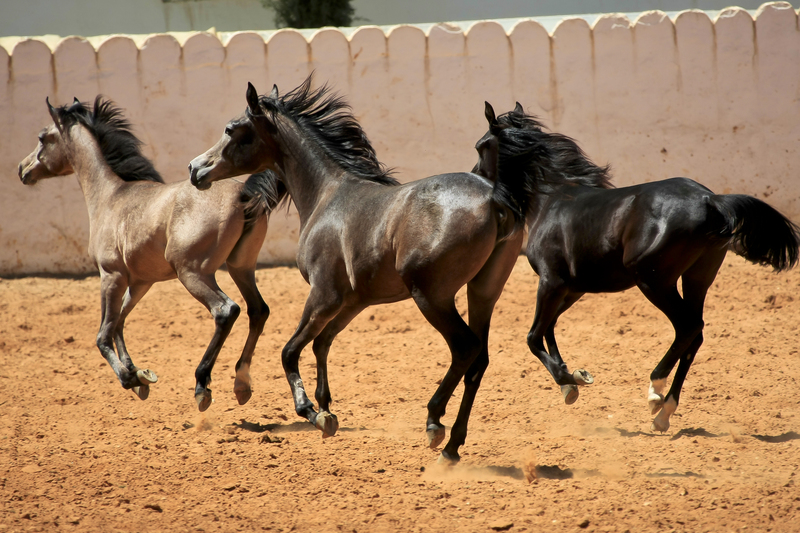 Day 2: Amman – Royal Stables, Studs, Clubs - Dead Sea – 1 night in a 4* hotel. After breakfast, we will visit the amazing Royal stables belonging to HRH Princess Alia. 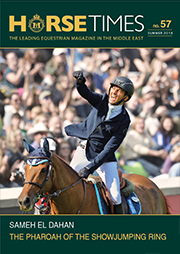 Afterwards, you will visit various Arabian private Studs & the famous Arabian Horse Club. Lunch on the way to visits. In the afternoon, transfer to the Dead Sea & then dinner & a night in a 4* hotel by the Dead Sea. Day 3: Petra – 1 night in a 3* Hotel. Transfer to Petra site after breakfast. Petra visit with an English-speaking guide in the morning for 2 hours. Free time for lunch. Petra, meaning 'stone', is famous for its rock-cut architecture & water conduit system. Established possibly as early as 312 BC as the capital city of the Nabataeans, it is a symbol of Jordan as well as the most visited tourist attraction. Petra has been a UNESCO World Heritage site since 1985. Dinner & night in Petra in a 3* hotel. Day 4: Wadi Rum – horse riding for 5 hours – 1 night in comfortable desert camp. Transfer after breakfast to Wadi Rum desert (1h30). Welcome by the Bedouins & preparation of horses. We will set off on horseback from Wadi Rum village where the stables are located, for a first 2 ½ hours of riding at a relaxed pace. We will pass the majestic Jebel Khazali Mountain on our way to Um Sabatah (the « red canyon ») where we will stop for lunch with an outstanding view over the desert landscapes. We will continue our ride in the afternoon to cross the Um Sabatah valley & its great sand dunes, surrounded by lunar landscapes. We will arrive in the evening to Um Khathah, where the desert camp is located for tea. The Bedouin team will be waiting to welcome us for our firs evening in desert. Day 5: Wadi Rum - horse riding for 5 hours – 1 night in desert camp. We will ride over the Um Zelgah dunes, stopping at Lawrence of Arabia's House (Lawrence of Arabia spent a few nights in this house, but it was originally used by tribes to trade materials & products from Saudi Arabia, Syria etc.). We will then reach the great red dune of Um Rashid where we can enjoy the view before descending the dune to reach high rocks with millennium engravings. We will have lunch at Barrah canyon, famous for its great red cliffs & appreciated by climbers. After lunch, we will ride towards Um Ishreen canyon to discover another vantage point over this unique desert. We will make a stop at Um-Athan water dam on the way & a stop at the Um-Athan water dam on the way. We will spend the night in Um Ishreen canyon. Day 6: Wadi Rum – horse riding for 4 ½ hours – 1 night in desert camp. We set off in the morning through the Um Ishreen valley crossing an entire flat area with white sand & passing the train rails & the « Seven Pillars of Wisdom » which were made by Lawrence of Arabia. We will then stop for our last lunch, surrounded by splendid views. In the afternoon, we will return to the stable in Wadi Rum village to say good-bye to the horses (4 ½ hours of riding). End of the day in Wadi Rum village, light dinner followed by direct transfer (3½-4 hour drive) to Amman airport for your return flight the following morning (most flights take off early in the morning). You also have the option to spend the night in a 3* hotel in Amman, if your flight leaves at a later time (extra charge of 60 € /person). The itinerary can be subject to change on the day of the ride depending on weather conditions & time of the year. - Price for RIDERS: 1,795 € /person (flights from Europe – large capital cities – included. Contact us for rates without flights). - Price for NON RIDERS: (with hiking/camel riding, Jeep tous in desert instead): 1,650 € /person (flights from Europe – large capital cities – included. Contact us for rates without flights). - Price for NO ACTIVITIES (no activities in desert): 1,395 € /person (flights from Europe – large capital cities – included. Contact us for rates without flights). - Flights to & from Amman (flights from Europe – large capital cities – included. Contact us for rates without flights or for flights from other area). - The horse ride as described in the programme. - Full board (except the lunch in Petra). - Entrances to the Royal stables, Dead Sea, Petra & Wadi Rum. - English-speaking guide in Petra. - Daily transportation of your luggage. - Entrance Visa to Jordan (20 JOD /person - easily provided at the arrival airport) for groups of 5 or more on same flight. - Trip extensions, optional visits and activities. - Single room supplement (if applicable - €120 /person). - Tips & personal expenses. - Lunch in Petra (restaurants available). - Rider's Individual travel insurance. - Entrance Visa to Jordan (20 JOD /person - easily provided at the arrival airport) if you travel in a group of less than 5 people.